Breeders Notes: Qualified is "Arty's" (Artistic Hot Pants) first colt. 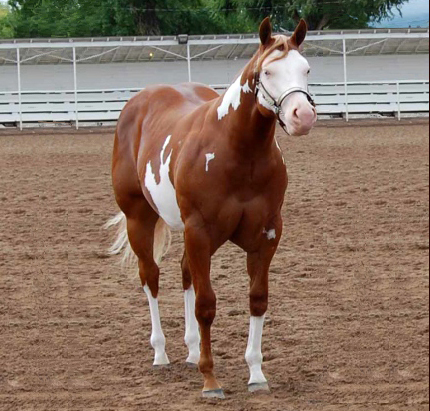 We bred him as a two year old to only two mares, and they are both great babies that are colored. Qualified is a great colt, full of muscle like his dam "Unequaled Classix". 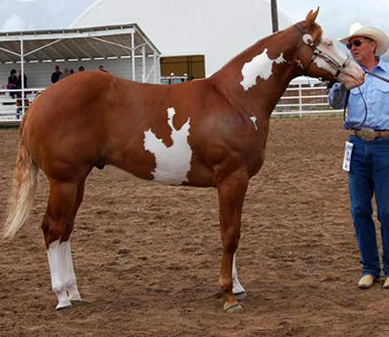 She is one of our favorite broodmares. She is tall and definately the heaviest muscled mare that we have, and is a result of our line breeding.